SANDERSVILLE GEORGIA Tennille Washington Bank Store Church Dr.Hospital Deepstep Kaolin Chalk Mine: DAIRY LANE BURGERS & SHAKES BAR-B-QUE Sandersville Georgia S. Harris Street, Dairy Lane Restaurant Sandersville Washington County GA. The DAIRY LANE Sandersville Georgia BURGERS & SHAKES BAR-B-QUE Restaurant Sandersville Ga. DAIRY LANE BURGERS & SHAKES BAR-B-QUE Sandersville Georgia S. Harris Street, Dairy Lane Restaurant Sandersville Washington County GA. The DAIRY LANE Sandersville Georgia BURGERS & SHAKES BAR-B-QUE Restaurant Sandersville Ga. 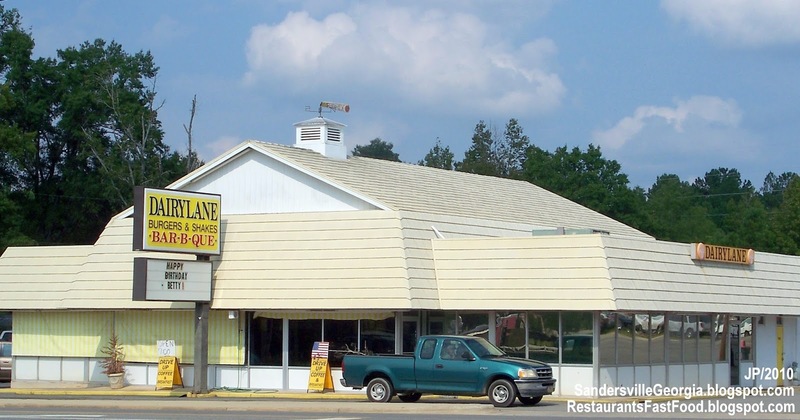 Dairy Lane Restaurant Sandersville Washington GA.
DAIRYLANE BURGERS & SHAKES BAR-B-QUE Sign, Sandersville Georgia Harris Street, Dairy Lane Hamburger BBQ Restaurant Washington County Sandersville GA.
Coca Cola Sign, Dairylane Hamburger BBQ Restaurant Washington County Sandersville GA.